Still thought of highly as a musical and cultural figure to this day, Jimi Hendrix is generally considered one of the most influential artists of the 20th century. Though most certainly remembered more so for his momentous guitar-playing skills, Hendrix also accompanied himself vocally on many of his recordings. He possessed a rough, bellowing baritone that, though not a technical voice by any means, fit his music quite well. His approaches normally vary from anywhere between pleasant midrange crooning ("Drifting") to his more iconic gritty belts ("All Along the Watchtower", "Voodoo Child (Slight Return)"). The latter of these two sheds more light into the diamond-in-the-rough nature of his voice, with Hendrix generally preferring to go for a sort of "raw" vocal that better captures the emotion he was going for. With this in mind, Hendrix's more off-the-wall vocal approach allowed him to better emulate his songs live with less stress put on the technicality of the performance and more put on his ability to produce a manic vocal when it was needed. This general mentality is reflected when looking at the areas of Hendrix's voice individually. His upper range is the most prominently featured in his music, with him generally able to get belts into the upper 4th octave and even the lower 5th octave on occasion. These belts start to get rather strained above G4 or so, though this again greatly contributes to Hendrix's unique sound. Beyond this, he also manages to get somewhat controlled, heady shrieks on occasion and, despite his more belt-heavy vocals, also has a surprisingly pleasant albeit underused falsetto register that can be heard on tracks such as "Tears of Rage" and "Mannish Boy". His lower range is unfortunately comparably underused and effectively underdeveloped, his 2nd octave not having much at all in the way of strength or resonance. 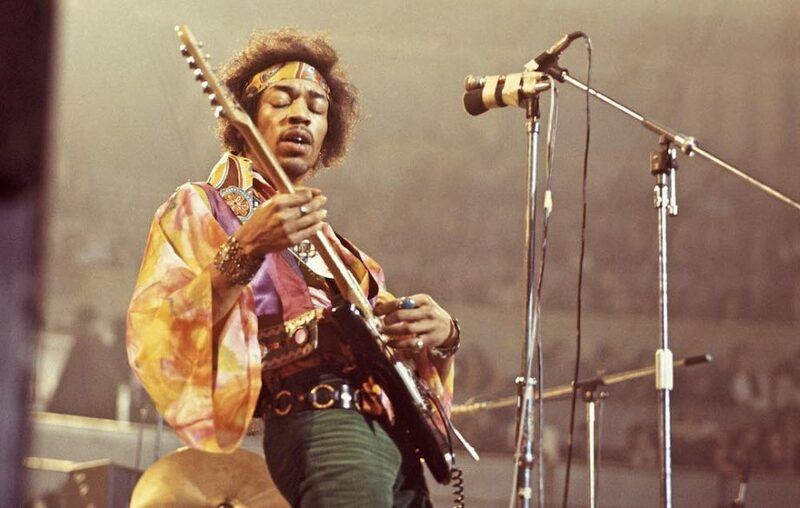 Looking past the technical flaws in his voice, however, there is a realisation to be had that Hendrix is something of a package deal; though his voice alone may not fare particularly well in the name of analysis, its emotion and power makes it a great contributor to the Hendrix sound, which is arguably one of the most significant in the history of rock music.